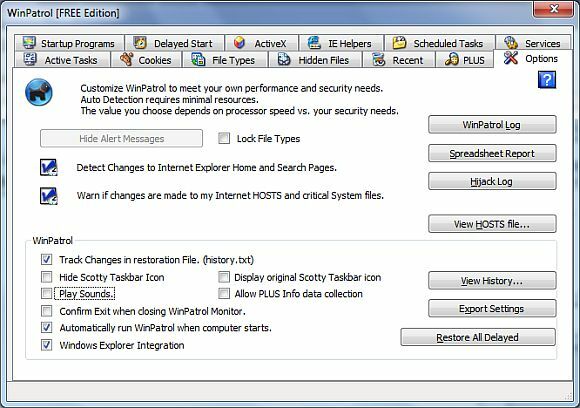 - Allows WinPatrol to start for current user or all users. - Reduced monitoring during all sleep states to save battery usage. - Fixed Reset function to remove duplicate Scotty icons. - Fixed Reset function to remove duplicate Uninstall entries. - Speeds up real-time detection. - Fixed bug in system tray icon behavior that could have produce unknown results. - Improved handling of repeating changes made by partner programs.